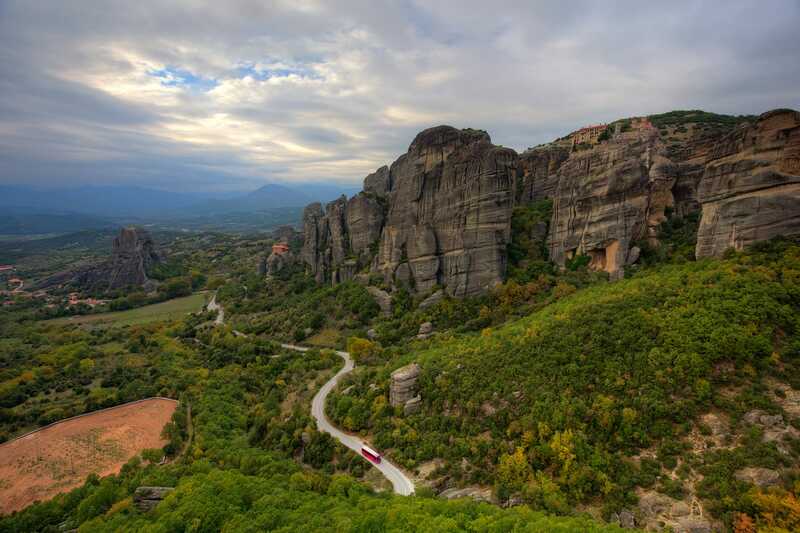 Our mission is affordable, accessible, sustainable travel. We envision a world in which every person can fulfill their need for travel. A world where you can easily visit family and friends, access education and economic opportunities, and explore the world. As humans, we have the urge to explore. By traveling, you can be closer to the people you love. You can also discover more about yourself and the world around you. By empowering travelers through technology, Busbud aims to create a more accessible world for everyone, by offering access to sustainable transportation. Our vision is an easy and seamless bus travel experience. We know intercity buses are extremely efficient. Using a low amount of resources makes them the most affordable and sustainable mode of motorized transportation. They’re also flexible, meaning they serve way more locations in more communities than any other mode of mass transportation. The lack of information on and ease of booking of this mode means that many people are losing out on the opportunity to travel, or are choosing to use more expensive, less sustainable modes of transportation. Our vision is an experience from discovery and search through arriving at the destination that is painless and easy. Busbud provides travelers with technology and information to more easily travel by bus. 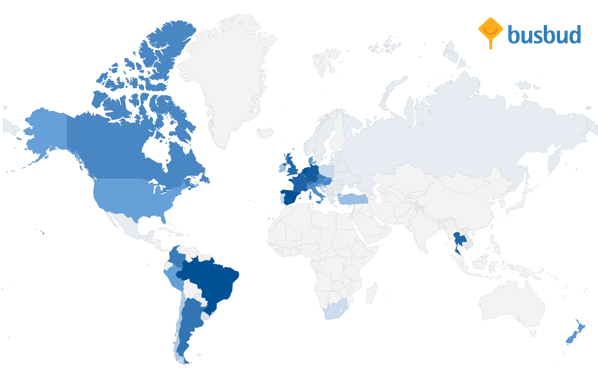 We strive to reach potential travellers across the world on the platforms they’re on, in their language and their currency. We help deliver clear and accurate bus travel information like schedules, prices, reviews, service classes, amenities, stop addresses and bus pictures, allowing travelers to discover options they weren’t aware of and save money and time by comparing prices from different companies. The user is able to book quickly and get on their way. By helping travelers find, book and enjoy the perfect bus trip, Busbud makes traveling the world more accessible for everyone. Our aim is to maintain and grow the customer base of intercity buses and increase awareness about how incredibly environmentally friendly travelling by bus is. 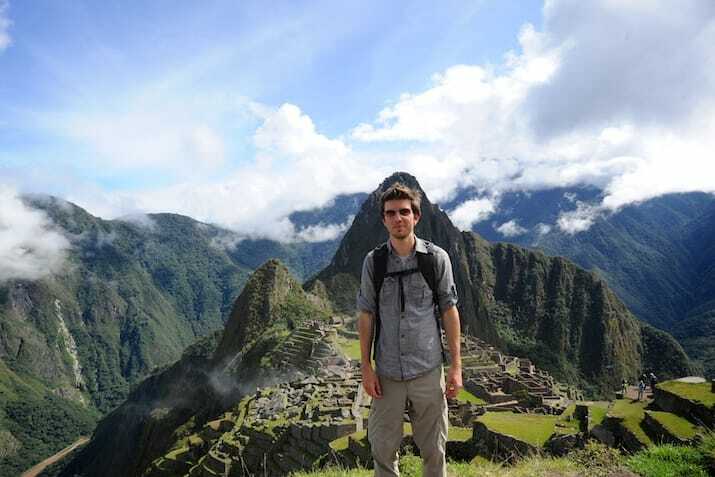 Freshly done with his MBA, Busbud's CEO LP Maurice decided to take some time to backpack across South America from the southern tip of Argentina to the mountains of Peru. On this trip, LP came to appreciate buses and realized how vital of a part of transportation they play, especially in South America. Still, getting around was frustrating. Between the language barrier, the amount of bus companies available and the difficulty of finding reliable schedules, planning transportation was taking up a lot of his time and energy. While riding a bus in Argentina, LP wrote up a business plan for Busbud. Upon his return to Canada, he recruited some old friends to launch the company, Mike Gradek and Frederic Thouin. In an era where travelers can easily book a flight, hail a cab, and reserve a hotel room online, there needs to be a better way to buy bus tickets. And now, there is. CEO Louis-Philippe Maurice holds an MBA from Harvard, a Master’s of Law from University of Montreal and a Bachelor of Finance from HEC Montreal. He’s an experienced product manager who worked at Yahoo and LinkedIn before founding Busbud. He’s also an avid traveler and professional photographer. CTO Michael Gradek holds a Computer Engineering degree from McGill University, and is a Microsoft veteran who has worked on MSN.com, Start.com, Internet Explorer, the Bing search engine and Windows 10. He's happily married and a proud father of two. Chief Analytics Officer Frederic Thouin holds a Ph.D. in Computer Engineering from McGill University, and is responsible for developing the data science technology behind Busbud. 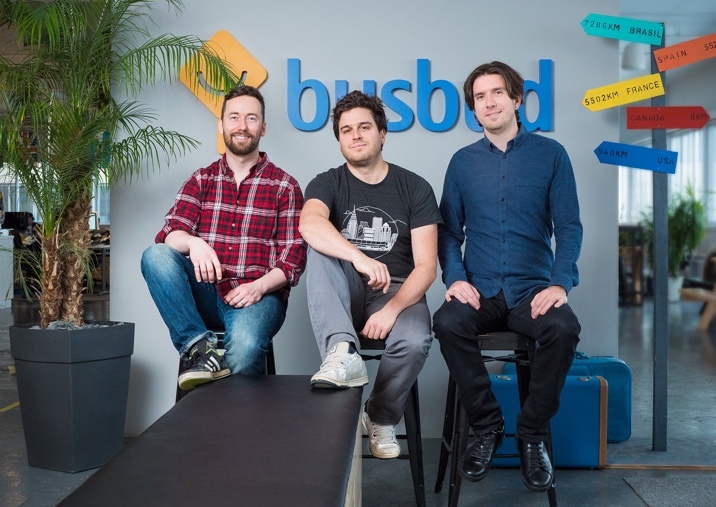 Busbud is crafted with love by a growing team of talented and data-driven individuals. Meet the whole team.